Kerala Houseboats are nothing but the rice boats or the kettuvalloms as they are called in the local dialect Malayalam, which were used to carry goods from the isolated villages in the interior of the Kerala Backwaters to the towns like Alappuzha, kollam, Kochi and Kottayam. Now with the advent of roads , bridges and ferry services these kettuvalloms vanished from the scene. These houseboats vary from one bedroom to four or five bed roomed ones, about to 95 feet in length and a width of around 13 feet for one bedroom houseboat and big houseboats with up 107 feet long and up to 19 feet wide. The materials used in the making are all local and Eco friendly materials like bamboo poles, coconut fibre ropes, bamboo mats, coir carpets etc. These houseboats come with a three member crew namely a chef, driver and cabin assistants. There are single bedroom houseboats for two people and two bedroom houseboats for four people.and 3 bedroom houseboat for 6 , and 5 bedroom houseboat for 10 People, you can choose the one which you like and comes within your budget. These old kettuvalloms are back again in the shape of houseboats as a major tourist attraction as a moving boat houses with all the amenities like air conditioning, attached bathrooms with showers etc. 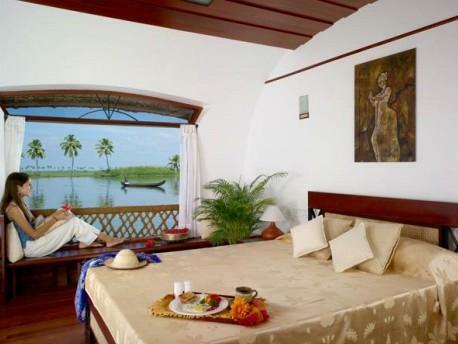 These houseboats also give you all the facilities a star hotel can give you. They have fully furnished single, double and triple bed rooms with sundeck, private balcony, comfortable chairs, kitchen and a toilet with WC. There is also a rest room for the staff separately. The food served will be typical Kerala cuisine with traditional recipes with an emphasis on the freshly caught fish from the backwaters. 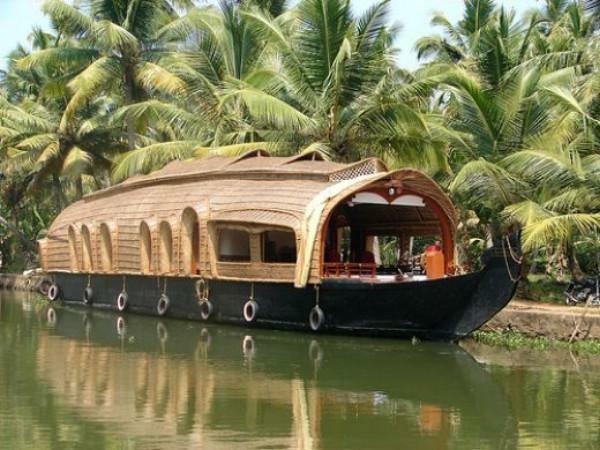 www.keralahouseboat.org is one of the leading houseboat operators of Kerala. They have offices and connections throughout India. They give you the personalized care as well as client satisfaction. The itineraries for the tour packages are well designed keeping in mind the needs of the tourists and the limited time they have, to see all the places and know more about Kerala. Their houseboats are fitted with all the modern gadgets and electrical appliances like the Television, split air conditioners, DVD players etc and all the houseboats are well maintained and clean. 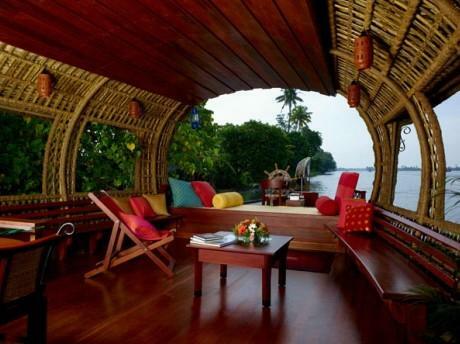 These house boats are built on the designs of the old kettuvalloms and so combines tradition with modernity. Their tariffs are given for day starting from 12.30 pm to 9.00 am the next day and differ from season to season. Tariff given will include all the applicable taxes. This is a very good article and the photos are very good quality. You describe all about house boats and the tariff,destination, contact address with phone number. It is a very wonderful writing. mam are you a teacher. I am always studying your writings because i could not write in english.